Bill Backer, the man who actually created the famous 1971 “I’d Like To Buy The World A Coke” ad Don Draper dreams up in the Mad Men finale, has died. He was 89. Backer began his career in advertising working in the mailroom at McCann Erickson, the agency made famous on Matthew Weiner’s drama series, in 1954. He worked his way up through the ranks: He started to write copy in 1953, was named creative director in 1972, and eventually became vice chairman by 1978. The following year, Backer co-founded what would become Backer, Spielvogel, & Bates, where Backer retired as vice chairman and worldwide creative director in 1993. As a copywriter, Backer was involved with some of McCann Erickson’s most popular clients. He came up with the slogan “Soup is good food” for Campbell’s, “Tastes great, less filling” for Miller Lite, and worked extensively with Coca-Cola, having worked on the “Things Go Better With A Coke” and “The Real Thing” campaigns. Backer also created ad campaigns for Löwenbräu, Fisher-Price, Parliament cigarettes, and Xerox. According to the New York Times, Backer scribbled, “I’d like to by the world a Coke and keep it company,” then came up with the tune with songwriters Billy Davis and Roger Cook. The original recording—intended for radio—was deemed too saccharine by Coca-Cola’s president. So Backer convinced the company to attempt something for televisio,n and with the help of art director Harvey Gabor, the “Hilltop” ad was born. 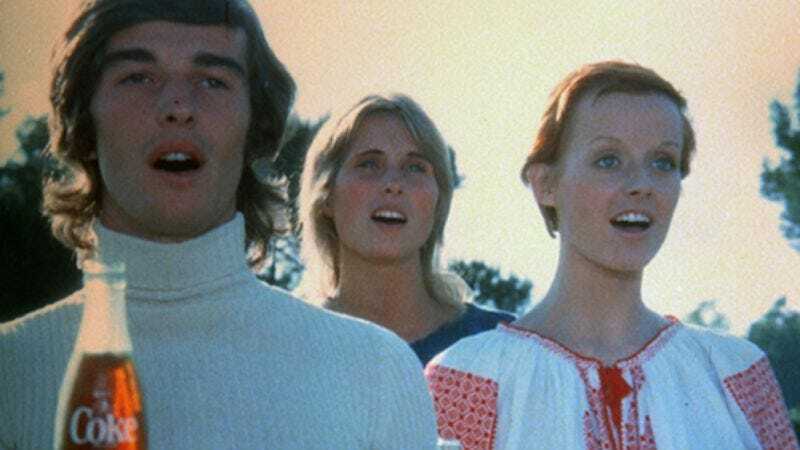 The tune even made its way to the Billboard charts performed by the New Seekers and the Hillside Singers—albeit with the Coke reference removed. Backer was proud of his work (according to him, “generally considered the world’s most popular commercial”), but never took all the credit. He maintained that he was a co-creator on the ad, which garnered a Super Bowl sequel in 1991. Bill Backer is survived by his wife, the former Ann Mudge.